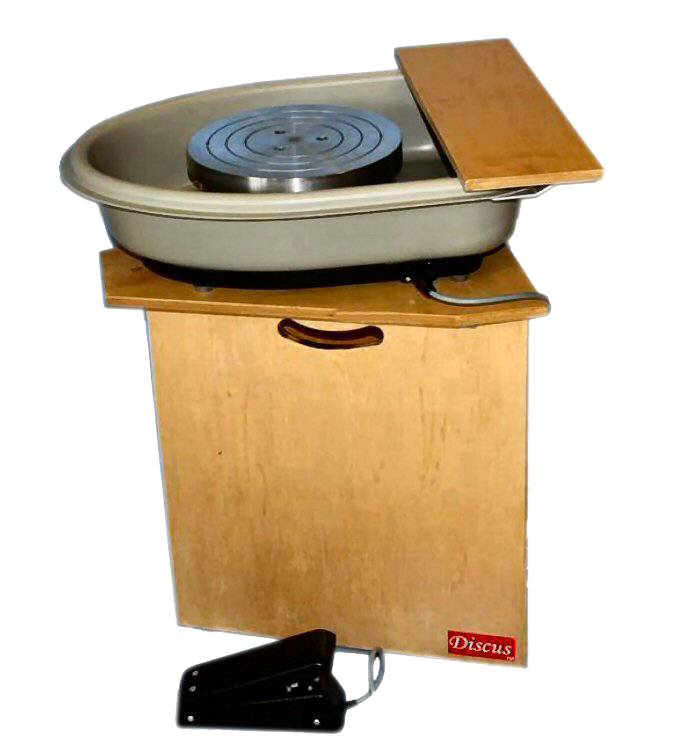 The Discus Potters Wheel is perfect for Hobby Potters, Classes and Smaller Production run potters. This also means the bowl does not need a waste water tap as it is easy to disconnect the control cable and carry the bowl to a sink to tip out water and waste prior to cleaning. The electronic controller combined with a powerful constant torque motor in the wheel itself provide the means for the Discus Potters wheel to throw higher loads of clay than it's horsepower or size suggests. Very importantly full torque is maintained at all speeds. The Discus has proved capable of production runs of mugs, tea/coffee pot, bowls and vases in commercial quantities. Discus Potter's Wheels are independent and sit securely on any work surface. When not in use, the easily managed units can be stored or stacked one on another, freeing valuable space for other tasks and projects. Just pack it away when you have finished being creative.